As the saying goes, there are two types of people in this world: those who find the AirPods comfortable to wear, and those who just can't get them to stay in their ears. 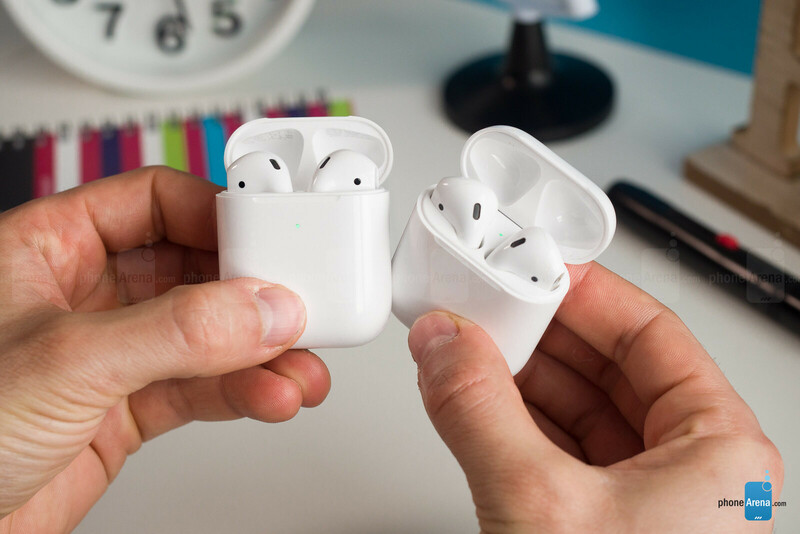 If you happen to be in the first group, you'll probably want to know about the second-generation AirPods, which are now available on the market. Apple doesn't call these AirPods 2. 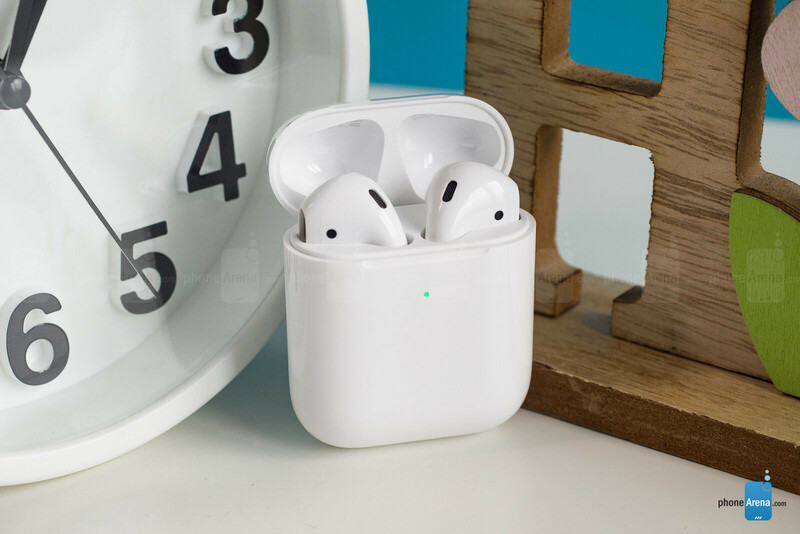 They are still just AirPods, but because their new headlining feature is a case that can be charged wirelessly, they are often labeled “AirPods with Wireless Charging Case”. This makes sense, because the earphones themselves haven't changed much. The cute little white case is exactly the same as before. Only this time, the LED indicator is on the front, and not under the lid, which used to be a sub-optimal position. This, in theory, should make it easier to follow the charging progress, but in reality, the light goes out after a few minutes on the charger, so you still need to open the lid to make it turn on and check if it's green (all charged up) or orange (still charging). This is something that can go either way and no side will be completely right or wrong. On one hand, it makes sense to see if the earphones that you're charging have finally charged; but on the other, some may not want the LED to shine constantly in certain scenarios, like night charging, for example. Aside from that, the design and dimensions of the AirPods are exactly the same. Nice, glossy white plastic that feels great. If the old ones fit your ears, the new 'Pods will do so as well. If they didn't, well, the new ones won't change anything. 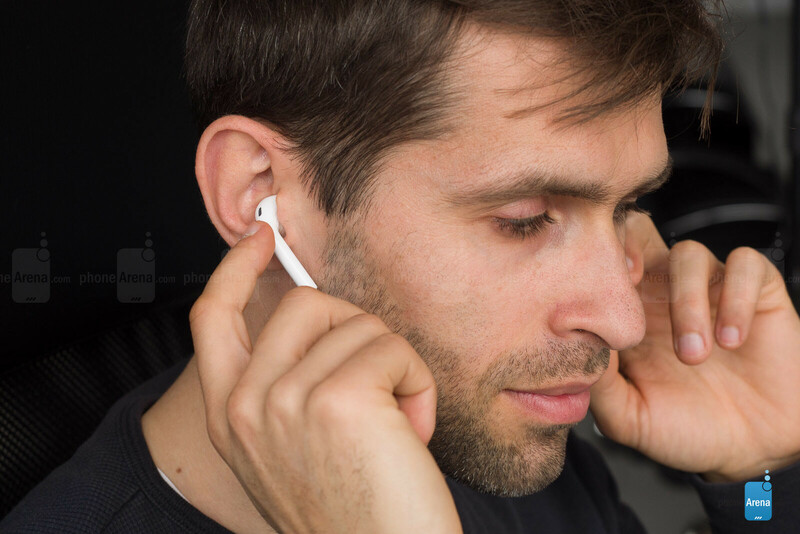 The AirPods, like Apple's wired EarPods, have this unique hook design that allows you to just place them in your ears, without the need to jam a rubbery end into your ear canals (like most in-ear headphones). We love this human-centric approach in the AirPods design, as it proves to be very comfortable, without compromising stability (for many, but not all users) or audio quality. The design of the original AirPods was seriously forward-looking, so Apple was safe not changing a thing. And while their sound quality was also up there with the better earphones of this type, it's sad to see that absolutely no advancements have been made, especially when we see the company squeeze more and more out of its other portable speakers like those in iPhones or MacBooks with each generation. So, they sound exactly the same. Is that a good thing? In a word: no. While the AirPods generally sound very well for what they are, they definitely aren't the best they can be. The lows are lacking and the highs are overemphasized. This last sentence sums up all that is not right with the sound of the AirPods. They can sound better, if listened to through a carefully adjusted EQ, so we know it's possible, but out of the box, the high frequencies are just too dominant. Even then, they remain one of the more pleasing truly wireless earphones. 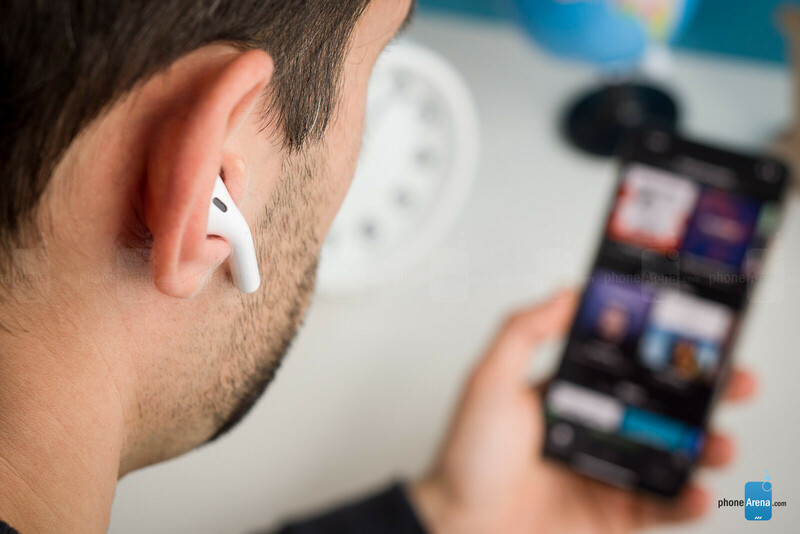 The new AirPods 2019 feature a new chip that takes care of wireless communication and other smart features. The old one was called W1, and the new one is called H1. We have no idea where Apple is going with these chip names. The point is, the new chip now allows you to call Siri by saying “Hey, Siri”, instead of using a manual gesture such as double tap on an earbud. If you're into using Siri for this and that, you'll enjoy this upgrade. The other big thing is that there's now less overall latency. With wireless headphones, there's usually some degree of latency, to the point where if you're doing something more demanding on your source device (a phone in our case), like playing a game, you may notice the audio being slightly delayed in comparison with what's seen on the screen. The original AirPods weren't bad at all in this respect, but the new AirPods are even better. After setting up a nice little test scenario, we could visually see the reduction in latency with the second-generation AirPods. Apple also promises that the H1 chip reduced the time it takes to switch your source device. 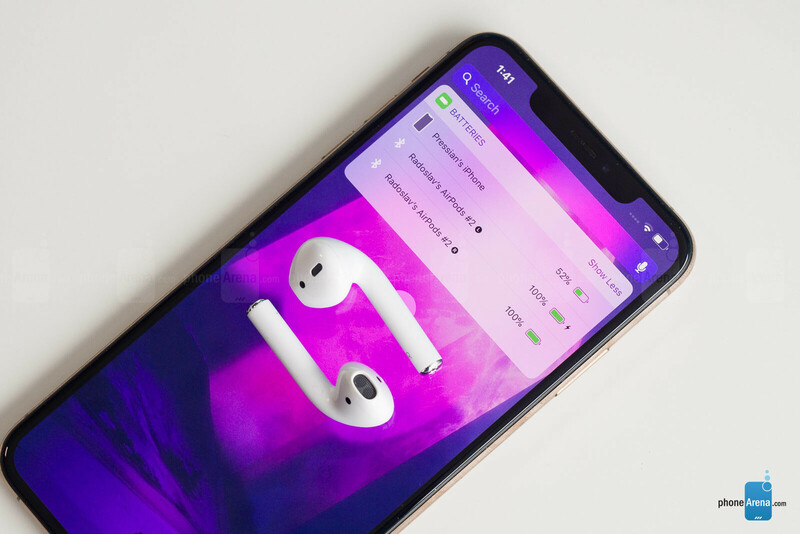 With the AirPods, you can normally have them paired with your iPhone and a computer, for example, and switching the actively playing device was fairly quick and easy. You just choose the AirPods from the device you want to continue listening on, and after a few seconds, control is handed to the new device. So, Apple promises that the time needed to switch the playback device has been cut in half. In our testing, the reduction was more to the tune of 30%, which is still substantial, but there's still some way to go until it's really instantaneous. As far as battery life goes, there's some good and some bad news. The good news is that Apple has improved battery life for talk time, that is when you're making phone calls using the AirPods, and the improvement is about 50%. 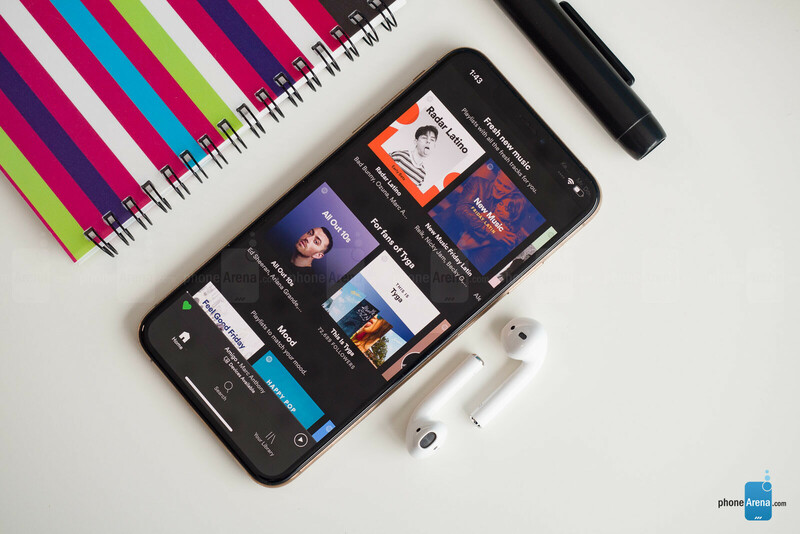 The bad news is that if you're listening to music, there's no improvement to battery life. Still, the AirPods are pretty much industry leading in this regard, especially considering the extremely compact dimensions of the case, so it's not like they are in dire need of an upgrade. And now for the main event: the wireless charging case! We already told you how it looks (exactly the same as before, only the LED indicator is now on the front), but how does it work? Well, as expected, you just place it on a wireless charger and it starts charging itself and the AirPods inside. 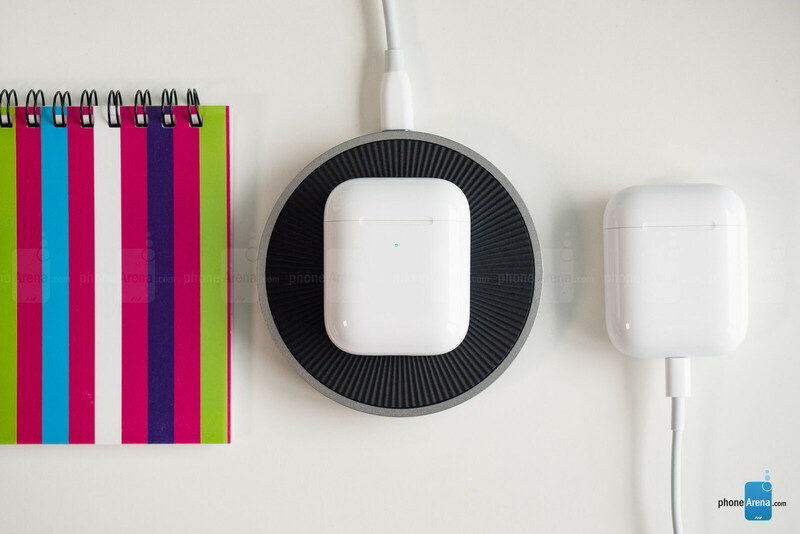 It's really not such a huge deal, but if you have a dandy wireless charging setup going on at your place or on your desk at work, it does make for a cleaner aesthetic than having a Lightning cable sticking out, waiting to be plugged in. One thing that quickly became apparent is that if you own a wireless charging stand, it's very likely that it won't be able to charge the AirPods case. This is because the case is small, so the coil inside it won't be able to line up with that in the charging stand. 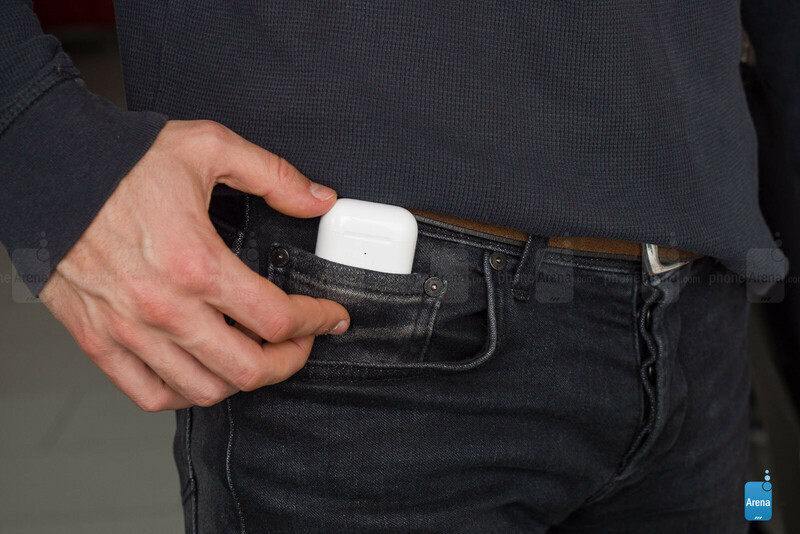 To guarantee that everything is going to work properly, you'll need to have a wireless charging pad, so that you can put the AirPods case in the center of it. One thing to keep in mind is that charging the new AirPods wirelessly will be slower than doing so using the included Lightning cable. The AirPods used to cost $159, and they still do. But at that price, you'll now get the new AirPods with the H1 chip, but in a standard case that doesn't support wireless charging. If you want them in the fancy new wireless charging case, you'll have to pay $199. There's also the option to just buy a wireless charging case: this will cost you $79. If you're happy with your current AirPods and would just like the wireless charging capability, then you can get only the case. 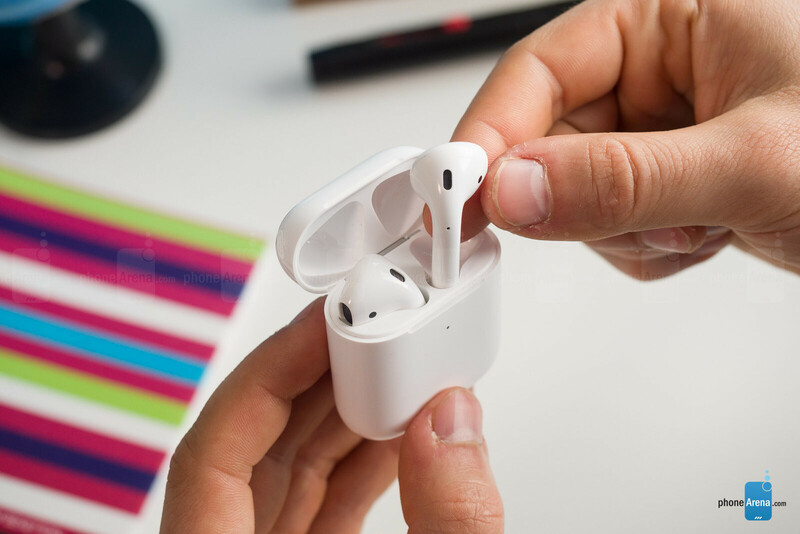 However, keep in mind that if you've had your original AirPods for a while now, their batteries may have started wearing out, depending on how much you've been using them. If that's the case, it might be worth considering getting a brand new package instead, as it might end up being cheaper in the long term. In conclusion, the new AirPods are a great piece of tech, just like the original ones. We would have loved it if Apple had upgraded the sound quality a little, but sadly that's not the case. Still, the improvements made to latency and other wireless operations are definitely great and welcome. Battery life didn't get a major upgrade, but it's still among the best in class, so we can't really complain. If you own the original AirPods and your batteries are still holding up, there is no need to upgrade to the second-gen AirPods, because the improvements aren't that big. For all those that are just now getting into the truly wireless headphone world, the new AirPods are a great choice. I have just received my new pair after using the old ones for more than 2 years extensively. The battery was just becoming bad. I love the comfort. I personally hate in-ear tips, like on the galaxy buds, and find them awfully uncomfortable within 2 hours. With the AirPods, I legit forgot they were in my ears from time to time and I’d not mind wearing them if my music was not playing. Sound quality is quite decent, don’t really care, and do not really think the new ones are worth the upgrade, because well, I never had issues with battery life, and do not really use Siri. Love wireless charging though. It's just the opposite for me. Apple Earpods, the fit is okay, it never fall off. It is just that it always hurt my ears after using it for some time. But I don't have such issue with Earphone with silicone tips. They just replaced BT 4.2 chip with a BT 5.0 + they added more glue to hold them together ... That just sad. Sound being same crap is downright pathetic. I dont have an issue with Airpods, actually really like them! I have Samsung Buds (Free) also but do like the Airpods a bit better. But what I do find funny...If any other company released such a minimal update to their product they would be bashed..both by review sites and tech community. But that didnt happen obviously. 8.5 rating. if you see many comparisons, the quality is as good as the airpods, the wired earphones are one of the best in the market when it comes free with the phone. you think they'd ship 300 dollar wired earphones for you? Good as Airpods, when Airpods are crap ... good thinking. Wired are really bad, even OnePlus, Meizu, LG etc. often bundle something worth at least 10-20$. Man, you really have low standards when it comes to sound quality or quality in general. Airpods I have tested (1.gen), second gen. is identical = I have tested even II. gen. without know it. Samsung wired and wireless was there as well. All of them are just a cheap crap. When 20$ TWS chinese buds sound better, you have a serious problem of incompetency of manufacturing headphones. On the other hand I have to give one thing to manufacturers, TWS are hard to get right. Even Sennheiser was not able to release a decent value TWS. They sound only good-ish, controlls are downright garbage and mics are terrible as well. It seems you have not used either. Samsungs wired are the best supplied with any phone and are not bad at all. Samsung buds have a good sound for wireless buds better than Airpods which I agree sound poor. Design, exactly the same. Audio quality, exactly the same (poor). Fit, exactly the same (poor). Touch features still lacking, over priced and to quote Flossy Carter, "you still look like a douch wearing them"
Flossy is the best. He suger coats nothing. These earbuds don't sound good 8.5/10 Wut? Apples upgraded products these last few weeks have been a joke. Well if you call them upgrades. They sound neither different nor look any different from the free earphones that they included with the phone a few years ago. Then told you Bluetooth was worth $179. Then and now wireless charging those airpods are worth $80. More. And that's if those airpods can still hold a charge. So they'll buy a new one no complaints. Apple seems to be one company that commands the highest price and has the worst battery longevity. And will shamelessly sell you a battery case for your phone. They actually have one of the best battery life of similarly sized wireless earphones. This means they'll actually live longer than most of those competing products, because you'll be slower to accumulate battery cycles with AirPods. Do you think others are using magical batteries in their truly wireless earbuds that won't get reduced capacity in two years? You're saying it as if it's a problem isolated to Apple. Can not understand how can you give 8.5 for overpriced headphones with such a poor sound quality. Not only that .. they also look ridiculous.